What is the purpose of the Plastic Bin Kit? When looking at bin kits, the aim is to get the most variety out of the collection. In the case of these plastic bin kits, the aim is to provide an easily accessible storage location for small and medium sized items. 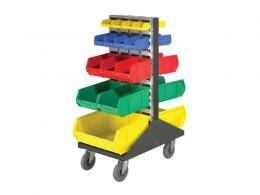 Because of the variety in the bins provided the types of uses that they can be employed for differ. The end result is that these storage bins provide a simple way of separating items that allow them to be categorized easily. The types of items that are ideal for storage using the plastic bin kit are mostly found in smaller production centres and in retail and wholesale outlets. 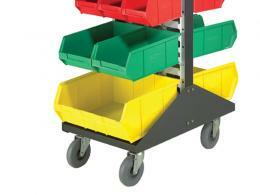 These bins are easily stackable and can be used to separating products by type and usage. In many situations these bins are a great way of separating different types of products to enable easier location and collection. The larger bins are very good for the storage of tools as well, making them even more versatile by enabling the location of both tools and components in one single area. Companies that have assembly-line type production can utilize this plastic bin kit in order to develop a way of storing the production from these assembly lines in a logical way which can then be transferred to different departments or sent for packaging as the case may be. 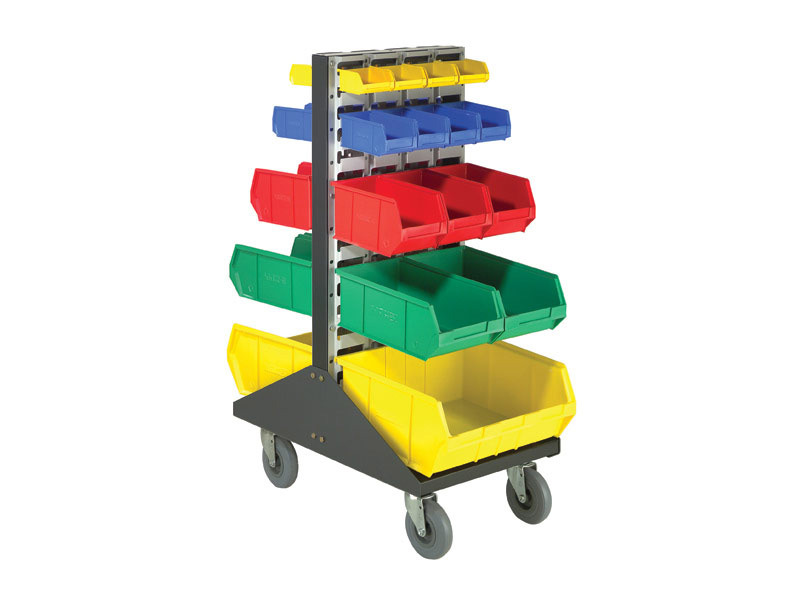 In other industrial and commercial situations, such as in storerooms, these plastic bins provide a quick and easy storage solution for keeping multiple different types of objects that may be easily lost if stored elsewhere. These bins combine practicality and convenience to a great degree. 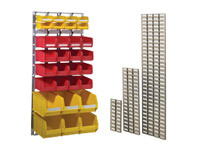 These units come louvered for easily visibility into the kits and also allow for multiple different types of storage thanks to the types of bins available. Each assembly comes with 30 bins of type LPK1, 28 bins of type LPK2, 68 bins of type LPK3 and 28 bins of type LPK 4, allowing a company to arrange and mix and match these bins in the most effective manner for their type of work. The sheer amount of different ways that these bins can be combined and recombined make them a versatile storage option and one that most industrial and commercial companies can easily find a use for.